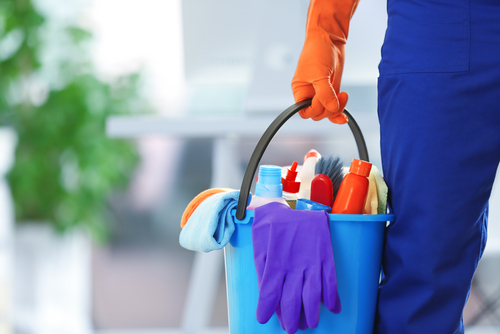 You need to ensure that your office is well cleaned. In addition to that, it is also a public place because you will be dealing with many clients depending on the services that you offer. Keeping your office clean will not only help to protect your personal health as well as that your clients and workers but it will also make the office more presentable and organized. Your clients will be more comfortable doing business with you if they walk into an office that is well cleaned. Unlike residential cleaning, office cleaning is quite difficult because an office consumes less space besides being very busy. As a result, most people usually find it challenging to clean their office. Below are office cleaning tips. Common mistake that most people do when cleaning their offices is leaving electronic appliances such as computer, printers among many others on. By doing so, you will not only risk being electrocuted but you will also not be able to clean the office well. You need to switch off all electronic devices in your office so that you can have the freedom to cleaning every part of your office including areas where live wires pass without the fear of being electrocuted. Switching of all electronic appliances will also help to protect them from getting damaged. If waters spills in an electronic devise when cleaning the office, the device will be damaged if it is on. However, if you have switched off the device, then you will still have a chance of saving the device from getting damaged. Don’t just clean the office then forget to empty the dust bin. You need to ensure that you also empty the dustbin. Dustbins not only accumulate waste products, it is also a safe haven for bacteria and fungi, insects and termites. Therefore, if they are not emptied regularly, they can pose serious health risk to office occupants as well as clients. When cleaning the office, make sure you empty the dust even if it is not full. In addition to that, ensure that you clean the dust bin with appropriate disinfectant to eliminate harmful bacteria and fungi that have accumulated. Office is a public place meaning that it is used by many people. 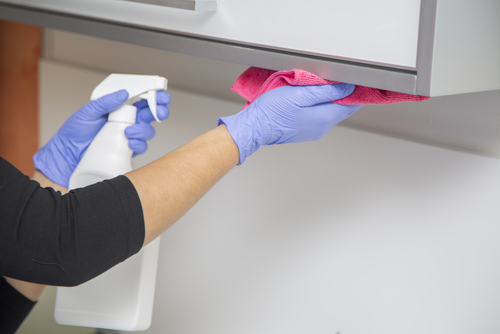 Whether it is open or closed office, it is crucial to clean it using appropriate detergent and disinfectants. They will ensure that all bacteria many of which cannot be seen by naked eye are killed. Don’t just use any disinfectant because some contain ingredients that are harmful even to humans. Conduct your own research or consult a specialist to help you choose the right cleaning detergent and disinfectant to help you clean the office. To get quality result that you are looking for, ensure that you follow all instructions when using disinfectants and detergents. Don’t just focus on cleaning the office and forget the client’s rest room. Doing so is like cleaning the office and forgetting to empty the dust bin. Clients will transfer dirt from the rest room back into the office meaning that your cleaning efforts will not make much impact. Take your time and clean the client rest room the same way you clean your office. 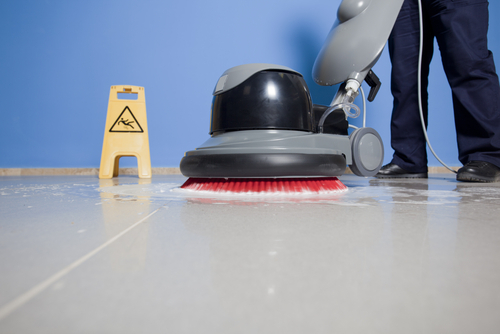 The cleaning process should be thorough so that dirt is not transferred to the office. Windows also plays a crucial part in keeping the office clean and presentable. Don’t just clean the office interior and ignore the windows. This is because window also carry dirt and dust too. Take your time to also clean windows including window pens to ensure that they are sparkling clean. When cleaning an office, don’t just focus on certain areas while ignoring others. The cleaning process needs to be thorough and that includes ensuring that the windows are well cleaned. Cleaning your office thoroughly is not an easy process. It requires time, knowledge and commitment. Most people working in the office are very busy and hence they don’t have the time to thoroughly clean their office. In that case, it is recommend that you hire a reputable office cleaning company to handle the job on your behalf. Hiring a professional office cleaning company has many benefits. First, the fact that a professional company is cleaning your office means that you will redirect your time and effort to do other productive things. In addition to that, they are professionals in this field and they have both the skills and the equipment needed to help them clean your office thoroughly and eliminate even stubborn stains. They have also insured their services meaning that you will nothing to worry about. If they happen to damage any electric device when working on your office, then they will take responsibility and compensate you for all damages. You will also be relieved from stress that comes when you think of cleaning your office. In conclusion, office cleaning is not an easy process. However with commitment and correct cleaning methods, you will be able to give your office a new look. However, if you lack crucial cleaning tools and skills, it is recommended that you hire the services of a professional office cleaning company.